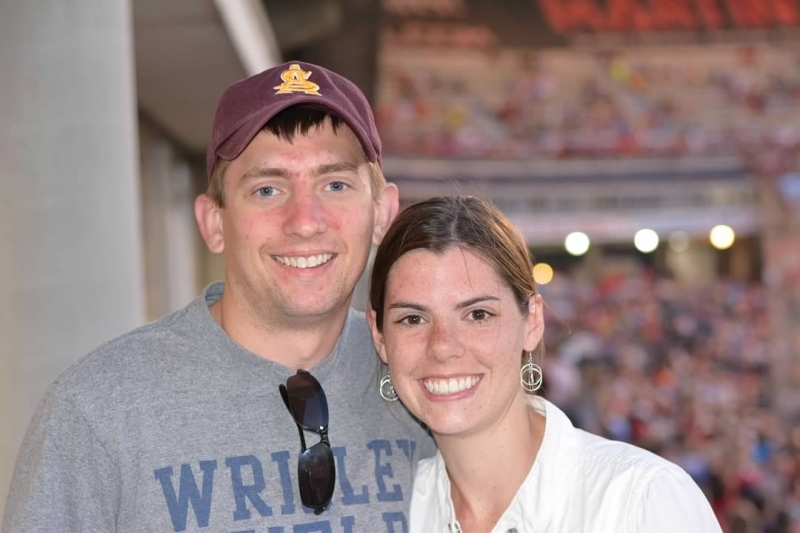 Adoption Profile - Hopeful adoptive parents, Brent and Michelle, wish to adopt a baby. We appreciate you taking the time to learn about & consider us as you selflessly consider adoption for your child. We are beyond excited to welcome a child into our home & family. We have always desired to have children both through natural conception and adoption. We decided to begin our journey to parenthood through natural conception, but were met with challenges. After 3 years of unsuccessful fertility treatments, we decided to take steps towards becoming foster/adoptive parents in hopes of building our family. In December 2016 we welcomed a 12 month old boy into our home. He was with us for 10 months and then went to live with his grandma. Although we were unable to adopt him we are blessed that he is still actively involved in our lives. Our desire to be parents continues to motivate and encourage us forward. Our fostering experience was both wonderful and heartbreaking, as it did not end in a permanent placement. This experience showed us that, emotionally, we could no longer emotionally pursue the foster care system, and we chose to actively pursue adoption at that time. We are both hopeful and excited to welcome a child into our home and hearts through adoption. We are a very active couple & love spending time outdoors! Most weekends in the summer we can be found hanging out at Michelle’s parent’s pool with food, family, and friends. Some of our favorite activities include hiking, going to the beach, kayaking, gardening, playing tennis, and mini golfing. We also love doing anything together as a family, especially having BBQ’s in the backyard or going out for dinner, ice cream, or to the local parks. Brent is a structural engineer at a local firm in our community. 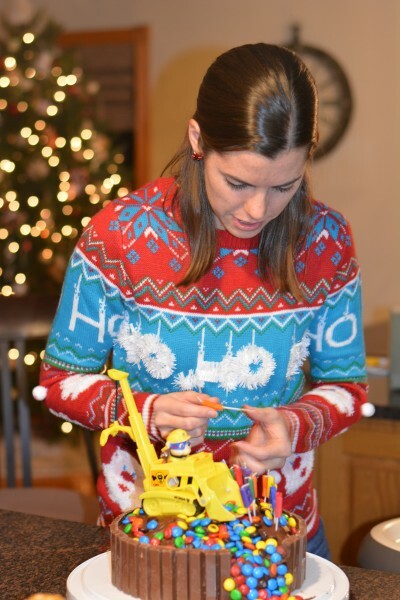 Michelle works for a non-profit as a trauma therapist helping children and families. Michelle looks forward to decreasing her work hours once they are placed with a child. Taking a quick break from the ocean view for a picture! Michelle loves baking! 3rd birthday cake for family! Enjoying mini golf with family for nephew's birthday party! We first met 9 years ago when we were introduced by Michelle's sister. Although our journey began as friends it wasn't long before we started dating. We quickly learned how much we had in common and knew we were meant to be together. After about 2 years of dating, Brent proposed and we were married on June 7, 2014. We both come from families with older siblings and are excited to expand our own family. We are very close to family and love spending time together regularly with aunts, uncles, cousins, and grandparents. Everyone is anxiously awaiting and supportive of our hope to welcome a little one into our family. We have lots of fun family traditions we will share and expand upon with our little one. Our fostering experience was both wonderful and heartbreaking, as it did not end in a permanent placement. This experience showed us that, emotionally, we could no longer emotionally pursue the foster care system- so we decided to come here. We are both hopeful and excited to welcome a child into our home and hearts through adoption. It is our hope that as you consider adoption, that you will be able to find peace in the decision that you make. We want you to know that we are open to having the type of relationship that makes you most comfortable, whether that is open, semi-open, or closed. We believe that is your decision to make. We also would like you to know that we cannot begin to imagine what a difficult decision this must be, and we want to wish you all the strength, courage, and hope as you go through this process. We are blessed to have not only supportive family, but a wonderful group of supportive friends who are excited and thrilled for us to adopt. Many of our friends and siblings have young children, some who have also adopted, who are looking forward to play dates, birthday parties, day trips, and other get togethers. If you choose us, your child will not only experience the love and support of our family, but the love and support our friends. We currently have a 14 year old westie named Kia. She is great with kids and acts like a little mother in her own right always following my nieces, nephews, and former foster kiddo around. Many of our pictures have two westies. While creating our profile book for adoption, our forever puppy Kody passed away at 12 years old. So, Kody is still in our profile book and on our webpage, as it should be. He will always be a part of our family, and our future children are going to know what a source of joy and comfort he was while waiting for them to become a part of our lives.